UPDATED: Sun., Jan. 28, 2018, 1:48 p.m.
MELCROFT, Pa. – Five people were found dead early Sunday at a car wash in suburban Pennsylvania and police say they have no motive yet for the shooting, though family members of the victims say a domestic dispute spurred the violence. 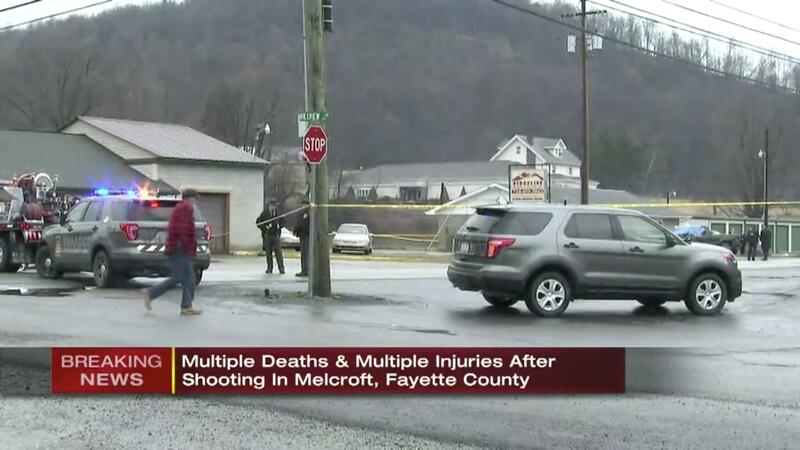 The shooting at Ed’s Car Wash occurred shortly before 3 a.m. in the Melcroft community of Saltlick Township, about 55 miles southeast of Pittsburgh. The victims were identified only as three men and two women in their 20s and 30s. One person was injured. Four of the victims were pronounced dead at the scene in Fayette County, while another died at a hospital, according to Trooper Robert Broadwater. He said two of the victims were found inside a pickup truck and two others were found outside in the car wash’s parking lot. Family members of the victims told WPXI-TV that the shooting was the result of a domestic dispute. They claim the shooter was a man who used to date one of the victims. Ed Bukovac, who owns the car wash, told the Tribune-Review that a neighbor called him around 4 a.m. Sunday and said something was wrong at his business. Bukovac said police were on the scene by the time he arrived and that he had few other details about what happened. Three vehicles were towed from the location. Two were pickup trucks – including the one that two of the victims were found in – and the other was a sedan. Published: Jan. 28, 2018, 8:36 a.m. Updated: Jan. 28, 2018, 1:48 p.m.